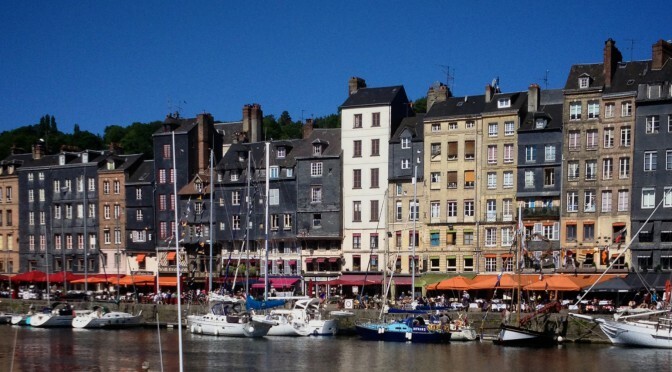 Honfleur is reported as one of the, if not the number one, most beautiful harbours in Normandy and Northern France. 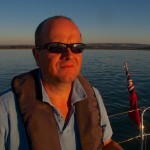 I’ve done several Channel crossings now to Cherbourg which is a fairless characterless destination so I jumped at the chance of sailing to Honfleur on a Channel hop with Nomad Sailing. It’s about 90 miles from the Solent so it would be significantly further than Cherbourg. But it also had the advantage that in the generally prevailing south westerly winds we’d be on more of a close reach or even beam reach rather than struggling to head just off the wind – which is often the case with Cherbourg. This caught us out once before – on my first crossing in fact 3 years ago. As it happened the wind came from the NE and forecast was NE 3 or 4 increasing 5 or 6; sea state slight or moderate; fair with visibility good occasionally moderate at first. It doesn’t get much better than that. 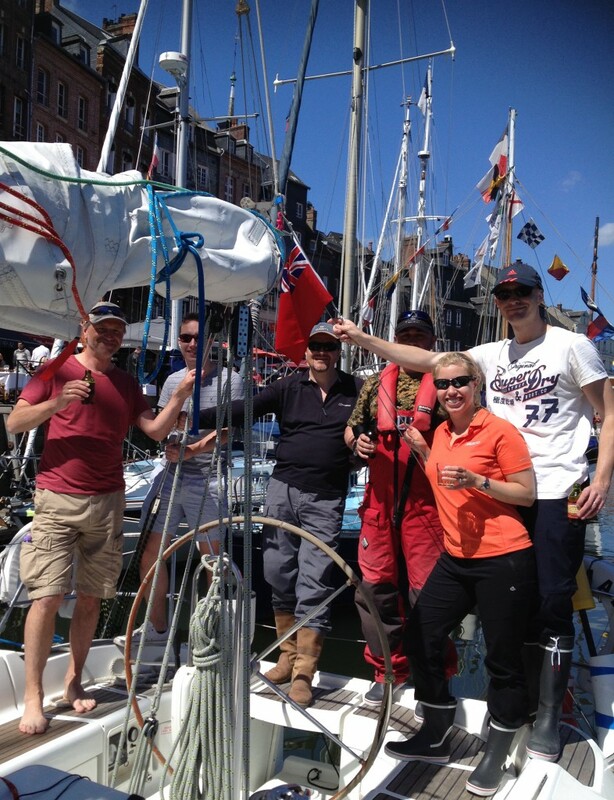 Our crew sailing to Honfleur would be seven with Joe having to drop out Friday morning with a severe stomach upset (we thank him for that!) and so I’d skipper both crossings. I planned on slipping our moorings at 1900 with about 90m to the Bembridge ECM, a 16 hour crossing to the RNA safe water buoy outside Le Havre and about 2 hours from there up the Seine to Honfleur – total 19½ hours – putting us there around 1430 BST on Saturday. The lock would be in free flow from 1110-1240 so we’d be unlikely to make that and in any event the inner bridge (to the Vieux Basin) would not be opening until 1430, 1530 etc. and that’s where we wanted to park up. I had worked out a course to steer using the tidal streams in Reeve-Fowkes Yachtsman’s Manual of Tides for 5, 6 and an ambitious 7 knots boat speed and in all cases the net tidal vector was only a few miles (see this previous blog on Navigating across the English Channel for how to do this). After reaching Bembridge, the helm was given a course to steer of 152. We settled down to a two crew on watch system (with a crew rotating off each hour) and Lou & I got some rest before we came on as we entered the main traffic lanes. 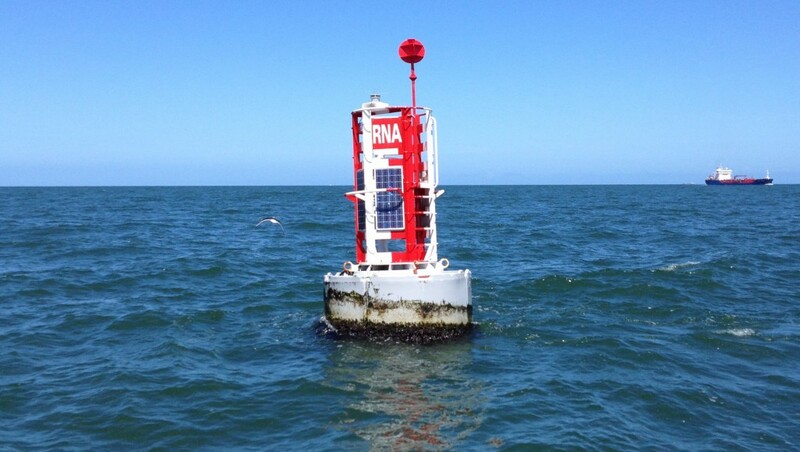 After 12 hours sailing I worked up a final course to steer of 168 and we reached the RNA buoy at 1100. We sailed a good portion of the pilotage from there and dropped the sails just before the Chenal de Rouen channel markers. The lock opened inwards on the hour so if you can time that it obviously helps and then 30 minutes later the inner bridge to the basin opens. You can tie up on a waiting pontoon while you wait. Honfleur Vieux Basin is simply staggeringly pretty. Surrounded by 7 story old buildings and most of the visiting yachts had to raft up (permanent moorings were stern to). Every inch of the harbour’s edge is taken up with bistros and cafés offering meals for approx. €15 which made us slightly uneasy. We ended up eating just around the corner at l’Absinthe for about €40 including wine – very tasty indeed. 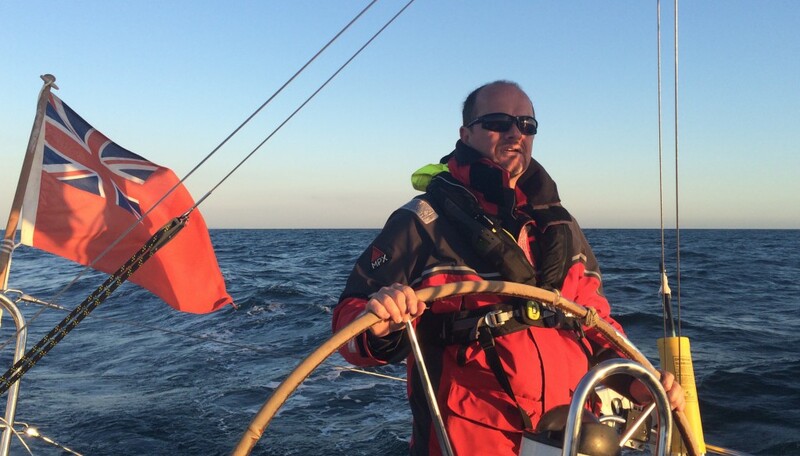 We crossed the main Channel in 15½ hours which was an average of 5.6 knots through 86 miles of water. Generally, the wind was around 10 knots on a broad reach during this time. 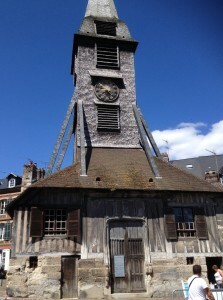 It then took us nearly 3h 40m to reach the Vieux Basin which included maybe 40 minutes of hanging around for the lock & bridge (the tides against us in the Chenal de Rouen were much stronger than anticipated). Sounds awesome. CTS worked well all the way across? Wish I could’ve come along! Well, I have since worked out a projected EP as of 0830 that morning for 2½ hours both on the original course of 152 and the new course of 168. The latter took us pretty much to the RNA SWB (of course) but the original course would have been about 4 miles out. Not bad (?) but I guess that’s why you work up a new CTS a couple of hours from home. I think it’s a sound strategy. 4 miles out if the target is upstream isn’t too bad to recover from. Also, over 60 miles isn’t 1 mile out equivalent to 1 degree of steering error? So 4 degrees out with other variables on top and the rough estimate of tide that we have to use doesn’t seem all that bad. For passages like this, I use the Admiralty Tidal Stream Atlas. I project my likely positions in the general sort of direction of the arrows, add them all up, take away the number I first thought of, sniff the breeze and make a net-vector correction at my starting point. Passages never develop as one plans due to speed, ship-dodging, following winds and the rest. These days I bimble along for a while, see how I’m doing, then adjust my CTS if need be. In the days before GPS, I would plot a fresh EP about halfway across,take a fresh departure from there, always aiming up-tide, then sort things out from a landfall fix. By the time I’d been doing it for 20 years, landfalls were surprisingly accurate, even in poor vis. In the early stages, 4 miles adrift would have seemed quite acceptable – so long as it was up-tide!! These days I don’t even bother working out tidal vectors. On the chart plotter just keep the bearing (to waypoint) and the heading the same and the error will be almost zero. Assuming wind direction allows & of course keeping up tide.